Don’t just stand there: move! This has been uttered by many leaders to engage their people. God even said it to Moses. There is a time for planning, organizing and visualizing and then there’s a time to do. Sometimes we get so hung up in the pre-game preparations, we fail to reach the goal. Finishing up our month of discussing goals, it’s now time to throw the ball and make the play. It’s time to execute. Execution can either be nerve wracking or confidence building. Often, it’s a little of both. If we aren’t a bit anxious as we approach big moments or activities in life, we wouldn’t be human. At the same time, we cannot allow difficult or challenging tasks to overwhelm or stop us from reaching our full potential. When we plan, organize and visualize well, we should feel prepared for the task of working towards goals. Take a small step; take a big step, whatever you need to do to keep moving forward. Some days it’s about maintenance. Others it’s about tackling a new obstacle. One day it may even be about trying to regain lost ground. Regularly we need to take a break, reassess and make a new plan. But don’t give up. Mountains are moved one small stone at time. Often, it’s not big miraculous events that shape our lives. 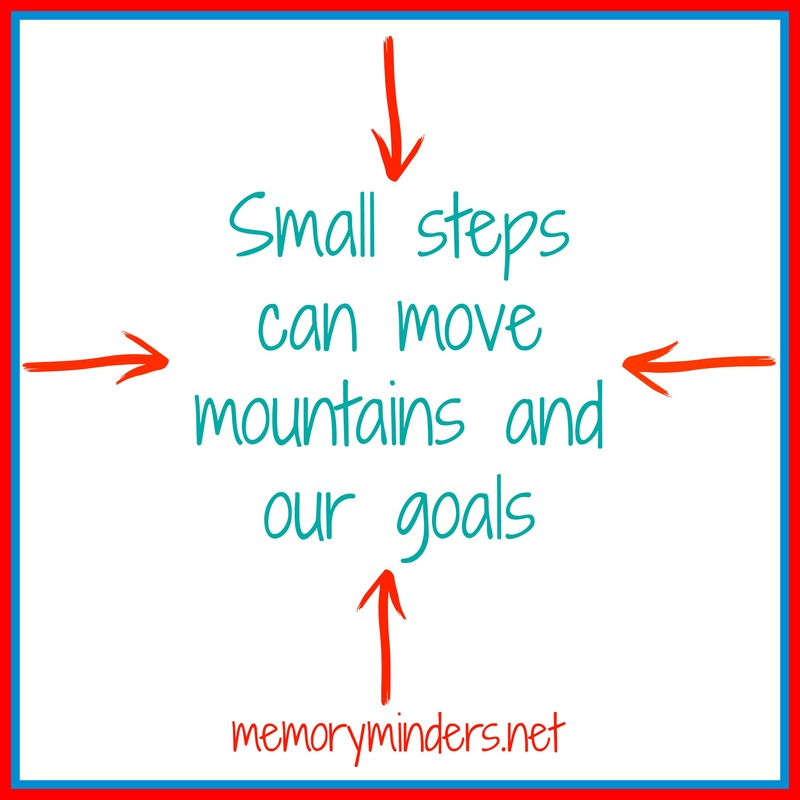 Usually small moments and steps are what move us forward and are the most meaningful. 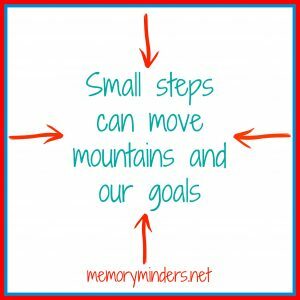 Small steps add up to progress. So don’t just stand there: move! Let’s take at least one step toward our goals each day. I would encourage improved cognitive wellness as an ongoing goal. Dream, plan, make lists, be organized, reassess if needed, but do something! And small stone by small stone, soon we’ll move mountains!